Bloomsburg University students are told from the first time they step on campus that BU is “a great place to be you.” Be you at BU, right? That’s something many students love about Bloom – it’s not just a school, but a home where students are free to pursue their passions and be themselves. But what if you couldn’t be the “you” that you wanted to be? Many students on campus face that challenge thanks to current university policy, which currently doesn’t recognize students’ preferred names. Not everyone opts to go by the name assigned to them at birth. 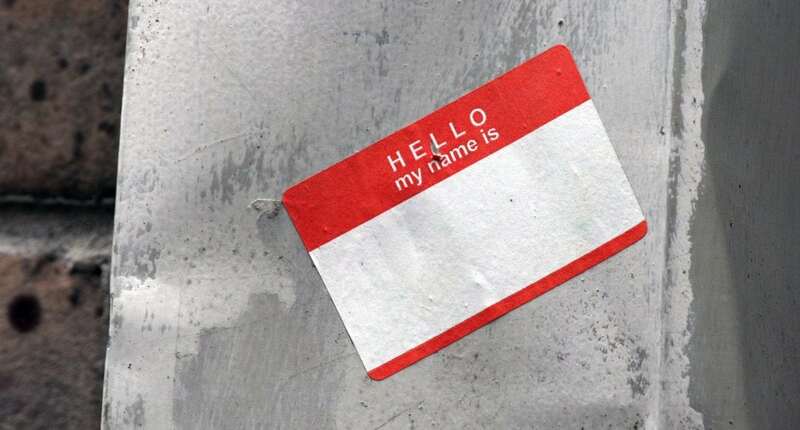 Some people like to be called by a nickname; others, by their middle name. Transgender and gender non-binary individuals often prefer to be called by names that match the gender they identify with. These are preferred names. The problem with BU’s current preferred name policy is that there is not one. This has a huge impact on trans and non-binary students in particular, because the university only recognizes their dead names – the names they were assigned at birth. BU’s lack of policy means that students still see their assigned name on email, BOLT, MyHusky, housing and mail. They technically cannot even get BUID cards with their preferred name. Faculty members also only see students’ assigned names on official class lists. Alexander Hazzard, a senior audio-video recording major at BU, explains how this has impacted him during his time here. “I have to send all of my professors an email at the beginning of each semester to let them know,” he says. By then, instructors have already seen his assigned name, increasing the odds that they won’t use his preferred name or his preferred pronouns. Hazzard wants to see this policy change, and he’s part of a recent push to make it happen. As a senior, the stakes are high for him – He’s graduating in December, and as it stands now, his preferred name won’t be called at his graduation, nor will it appear on his diploma. Jacob Kelley, a senior psychology and communication studies dual major, is determined to show that students want to see a policy change and has started a petition. Kelley is hoping to get at least 200 student signatures on his petition by the end of April, and has been researching preferred name policies at other colleges and universities to present to administrators. Students like Hazzard and Kelley want to educate their fellow BU students and create awareness of the preferred name policy effort and other issues facing LGBTQA students. In the coming months, the LGBTQA Resource Center and BUEA will be setting up tables on campus to provide information for students during the upcoming Ally Week in April. Bloomsburg University students can show their support for policy change by signing Kelley’s petition at the LGBTQA Resource Center on the second floor of the Student Services Center. For more information, contact Matthew Barcus, coordinator of sexual and gender diversity, at mbarcus@bloomu.edu or Emily Moscaritolo, president of BUEA, at ecm73503@huskies.bloom.edu. EDITS: This article originally mentioned Matthew Barcus, Coordinator of Sexual & Gender Diversity at BU, as having proposed policy change to BU administration. This statement was unauthorized by Barcus and has since been removed. This article also previously implied that BU administration had denied policy change. This information has since been confirmed false and been removed.